For every $100 you spend at locally owned businesses, $68 will stay in the community. What happens when you spend that same $100 at a national chain? Only $43 stays in the community. This is huge! When you shop locally, you are investing in McCall: investing in new jobs being created, your neighbors making more money to spend in town, and our city remaining healthy and vibrant. McCall is really something special…don’t we want to keep it that way? 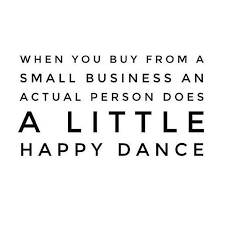 When you shop indie businesses, you help your community remain unique. McCall is anything but boring and our independent business community helps maintain that. Local businesses are better at creating higher paying jobs for your neighbors. When you shop locally, you help create jobs for teachers, firemen, police officers, and many other essential professions. You are also creating access for people to rise to the middle class and beyond. Isn’t that the ultimate American dream? Buying from a locally owned business conserves energy and resources in the form of less fuel for transportation and less packaging from shipping. Let’s face it, the environment is what makes McCall so special to so many. If we don’t protect it, how long will it remain so beautiful? Every little step we take to preserve the beauty of McCall matters. Local business owners know you and you know them. Studies have shown that local businesses donate to community causes at more than twice the rate of chains. The investment in community goes both ways. We want to support the people who support McCall. Can the businesses you shop at say they support what’s important to you in your neighborhood? Shopping in a local business district means less infrastructure, less maintenance, and more money available to beautify your community. Also, spending locally instead of online ensures that your sales taxes are reinvested where they belong— in your community! The loss of sales tax revenue hurts us. No number of discounts from online retailers can make up for the needs of our local infrastructure. That money will have to be raised somehow, either through local taxes or taxes levied on our homes. When we spread the demand out amongst us and those who visit our fair city, it lessens the burden on local homeowners when the tax man comes. Locally owned businesses pick the items and products they sell based on what they know you like and want. Local businesses carry a wid­er array of unique products because they buy for their own individual markets. Your opinions and needs matter to us! We want to best serve you; you can’t say that about most chains. You are their friends and neighbors, and locally owned businesses have a vested interest in knowing how to serve you. They’re passionate about what they do. Why not take advantage of it? We can save you money by making sure you are buying exactly what you need. That cost savings adds up over time. Creativity and entrepreneurship are what the American economy is founded upon. Nurturing local business helps build a strong community. Strong communities can withstand pretty much anything. Help us make McCall stronger by supporting locally owned businesses. The more interesting and unique your community, the more it will attract new neighbors, visitors and guests. This benefits everyone! We all know that tourism is our bread and butter here – how do we keep them coming back? With McCall’s very own brand of warm hospitality and unique stores to keep them coming back year after year. *Source: Civic Economics – Andersonville Study of Retail Economics.